Apartment Financing America founder and managing director Kathryn Thompson has the kind of experience as a real estate developer and mortgage broker you seldom encounter. She has accomplished a great deal since buying her first property at age 16 and starting her own company at 25. With more than four decades of expertise as a real estate developer and mortgage broker, you would expect numerous accomplishments. In the case of Kathryn Thompson, she has accomplished far more than you would think possible in a brief five decade career. Although expert in virtually every aspect of mortgage lending and real estate investment and development, her expertise is strongest in the development of military housing and master planned communities, proposal writing and multifamily housing, both developing and lending. As managing director of American Eagle, Kathryn Thompson led the effort to develop six military housing projects comprising approximately 9,000 military housing units. She was responsible for financing the projects, completing more than $800 million of rated private placement taxable bonds to finance construction of 9,000 military units in less than eight months. Although Kathryn Thompson developed and built more than 25,000 homes, her construction and development experience was in no way limited to residential properties. She has also built more than 4,000,000 square feet of commercial office, banking and retail space. An entrepreneur with an impressive track record in the industry, Kathryn Thompson founded a development company in 1967. Building and expanding the company, it grew to be the tenth largest home builder in California at the time she sold the company in 1994. Kathryn Thompson became a Certified Commercial Investment Member (CCIM) of the National Institute of Realtors in 1970. She was elected to the Young Presidents’ organization in 1984. 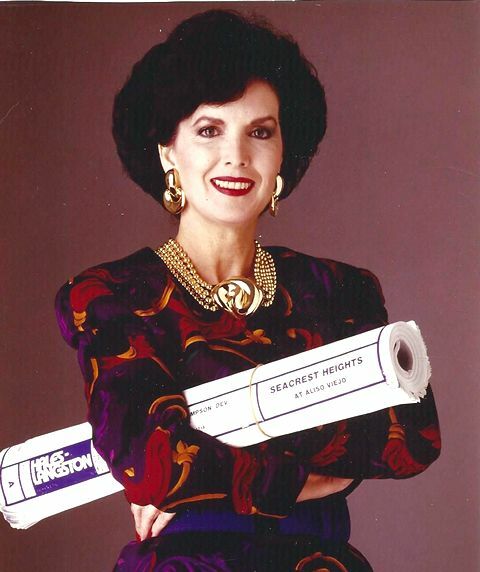 Her high standards of business management, ethics and productivity fueled her national reputation for entrepreneurship and in 1989, for the second year in a row, Kathryn Thompson was listed as one of America’s Top 60 Business Owners and Professional Builder Magazine listed the home building company she owned as the fastest growing home builder in America in their annual survey of the Giant 400 Builders in the country. Also in 1989, Kathryn was recognized as one of the top 100 executive officers of America’s fastest growing mid-sized companies by the Washington DC based American Business Conference. A recognized leader in the industry and the community, Kathryn Thompson has received numerous industry and civic awards including being inducted into the California builders Hall of Fame in 1991. Ms. Thompson also boasts a resume featuring a presidential appointment. In 1994 Kathryn Thompson was appointed to the Fannie Mae Board of Directors. She is also the recipient of the Sumigarden Award for lifetime achievements in the real estate industry and the community from the University of California, Irvine, real estate conference. Kathryn Thompson has served on the Board of Directors of numerous real estate organizations and is a sustaining member of the Building Industry Association as well as a member of the Building Industry Association’s President’s Council. Ms. Thompson has addressed the Pacific Coast Builders Conference, the Stanford University Graduate School of Business and the University of Southern California’s Lusk Center for Real Estate, of which she is also a founding member. Not surprisingly, Kathryn Thompson has been selected for listing in both Who’s Who in American Women and Who’s Who in Women of the World. Kathryn is an avid reader, skier and loves to cook and entertain, especially for her family and grandchildren. Appointed by President Bush to the Advisory Committee on Construction Safety and Health for the Occupational Safety and Health Administration (OSHA). The first time a residential builder was appointed to this committee.